Do you get a good night’s sleep? ‘Night night sleep tight’ is OK if it means sleeping well but if tight means holding tension, then it’s not such a great phrase. I am asked regularly about the best positions for sleeping and so I’d like to draw your attention an earlier blog post about sleeping positions. This has suggestions for different set ups whether sleeping on your back, side or front. My view is that it’s best to get a good night’s sleep and to not worry about trying to find the perfect position. 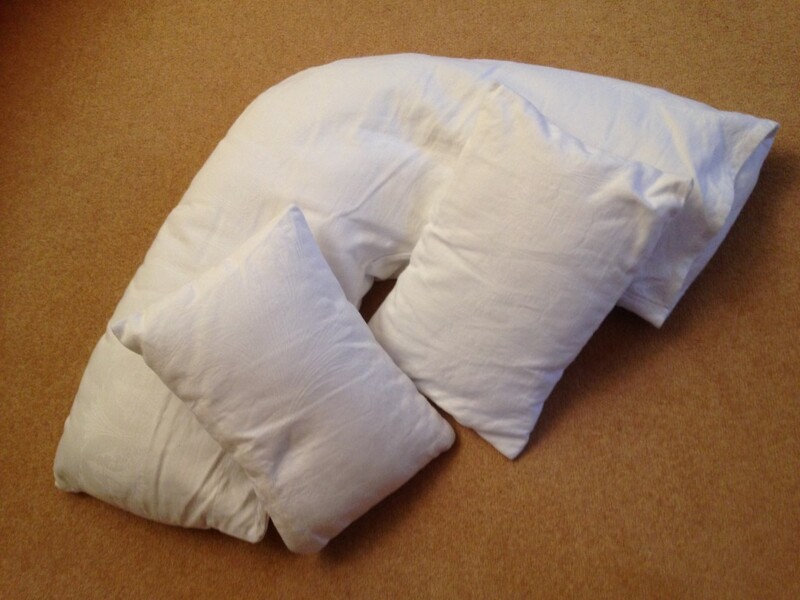 However, there are suggestions for pillow arrangements that may help. Of course, it’s also worth some Alexander Technique ‘thought support’ to help free up any tension from the day. A body scan starting can address this, freeing up the neck, jaw, back and limbs. Thinking from brain to body helps us to become aware of where we hold tension so that we can free it up. Once we’re asleep we can’t act on this but we can think things through before we drop off to sleep or if we wake in the night. My yoga friend and colleague, Chris Holt, has an insomnia bodyscan that is worth a go if you have trouble sleeping. Our minds can be pre-occupied and so running thoughts through the body bring us into the present moment, quietening down the mind chatter. We have daytime thinking and night-time thinking. Daytime thinking can be more logical and is often about planning things or working things out. Dreamlike thinking can be quite random and even surreal. If you can’t sleep and you’re thinking daytime style have a go at having some more random thinking. I either try to get back into my dream or to get into random thoughts that have nothing to do with my everyday life, eg zoo animals, colours floating through my mind, to see if this takes my mind elsewhere. Some people like music or white noise. The best thing for me is to plug myself into some podcasts. It’s a good idea to tuck the headphone cords above the head to avoid getting strangled. Either I have an interesting listen or I drift in and out of sleep. Not worrying about not sleeping. A book on sleeping advised that we all wake in the night a few times and that’s normal. The problem is when we can’t get back to sleep. Knowing that it was normal to wake really helped so that I stopped getting into a pickle about having insomnia and relaxed more. I went to a talk recently on the neuroscience of sleep. The main pieces of advice are to try to go to bed at a similar time each night and to ensure that the bedroom is as dark as possible. These all help with melatonin levels. Light from TVs and electronic devices can also be problematical for some in getting to sleep and low level lighting before bedtime is a good idea. Posted in Mindfulness, Top Tips and tagged sleep. Funnily enough, I was just listening to that this morning! Good suggestion. I also enjoy science programmes, eg The Life Scientific, Science in Action. Other programmes I download include the Food Programme, Books and Authors, The Kitchen Cabinet, Thinking Allowed, Women’s Hour, Witness and The NewYorker: Fiction.